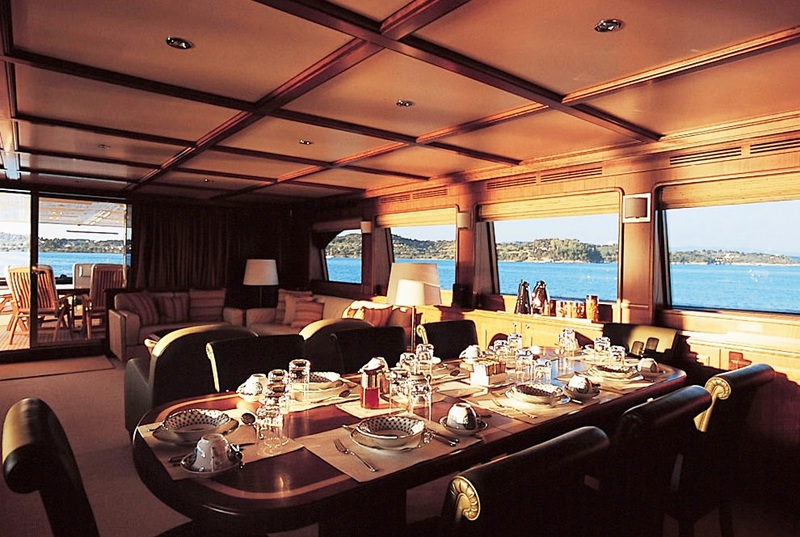 The sophisticated elegance meets the superior professionalism... Iris has a magnificent interior featuring: a dining area for 10 people, entertainment facilities that include a central interior/exterior Hi-Fi system, TV/Video/DVD etc. 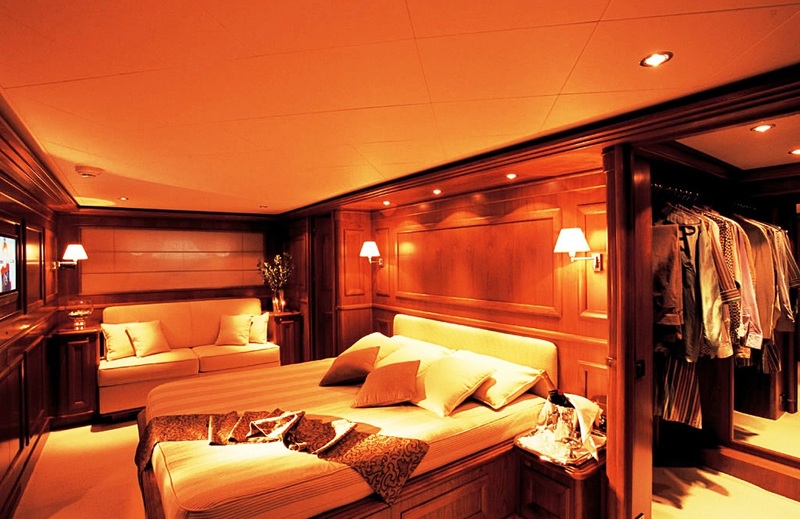 The luxury charter yacht’s guests’ accommodation consists of a large Master cabin, one VIP cabin, one double cabin with their own fully comprehensive entertainment equipment and of course, en suite bathrooms, plus two twin cabins also with en suite bathrooms and CD/radio cassette. 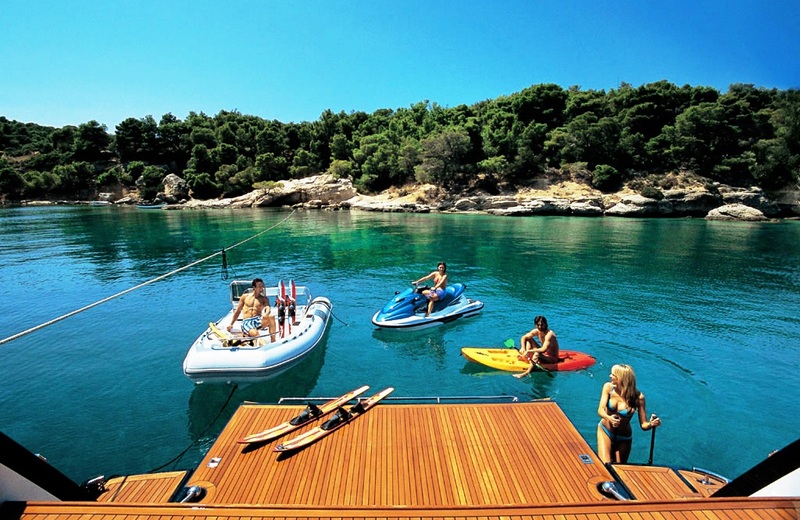 She offers a fly bridge which is ideal for sunbathing and relaxation. 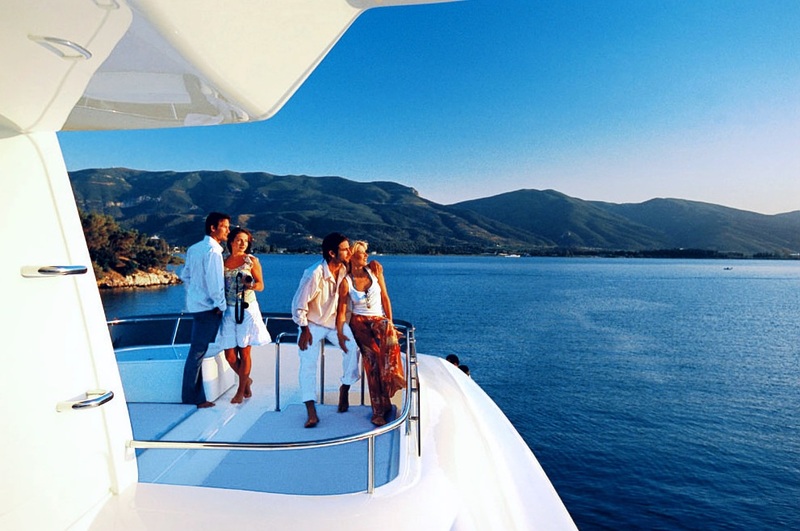 The captain and crew, who are experts on the Greek islands, will take you to the place of your choice, from picturesque fishing harbours to the most cosmopolitan islands of the Greek Seas. 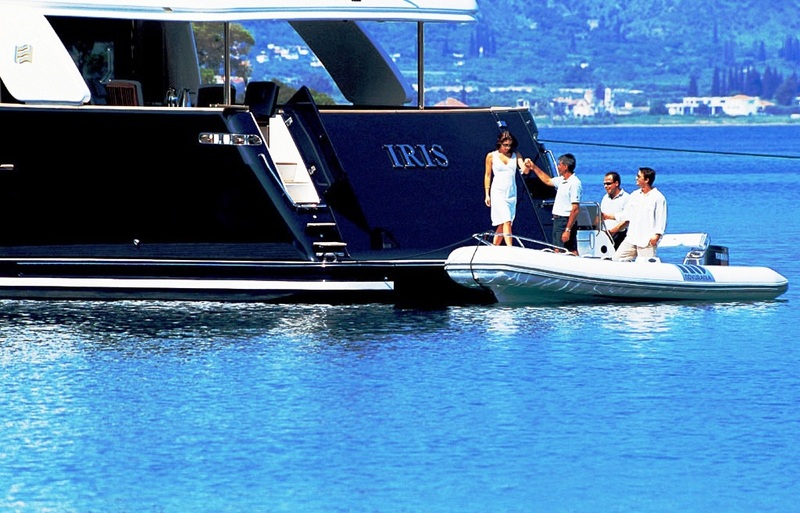 Iris radiates luxury and high style! 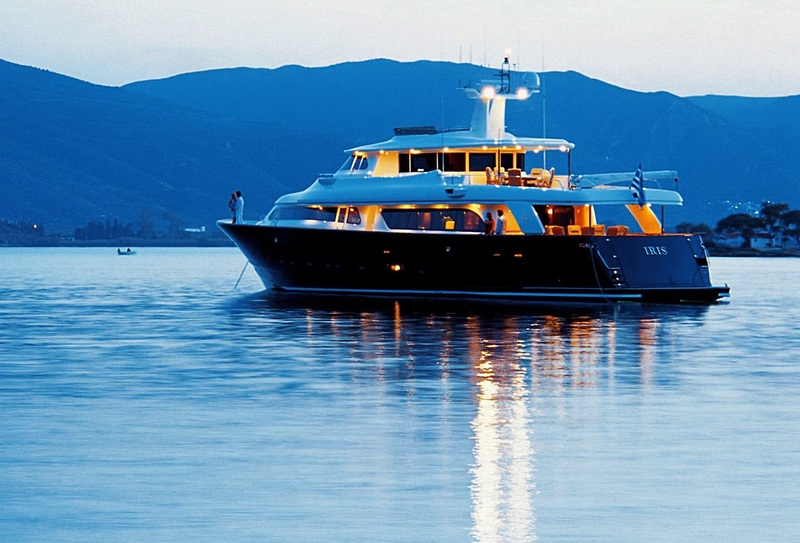 Luxury Greece motor yacht IRIS offers the following accommodation: Ten-twelve guests in one Master, one VIP, one Double and two twin cabins with one pullman berth each, all with ensuite facilities. 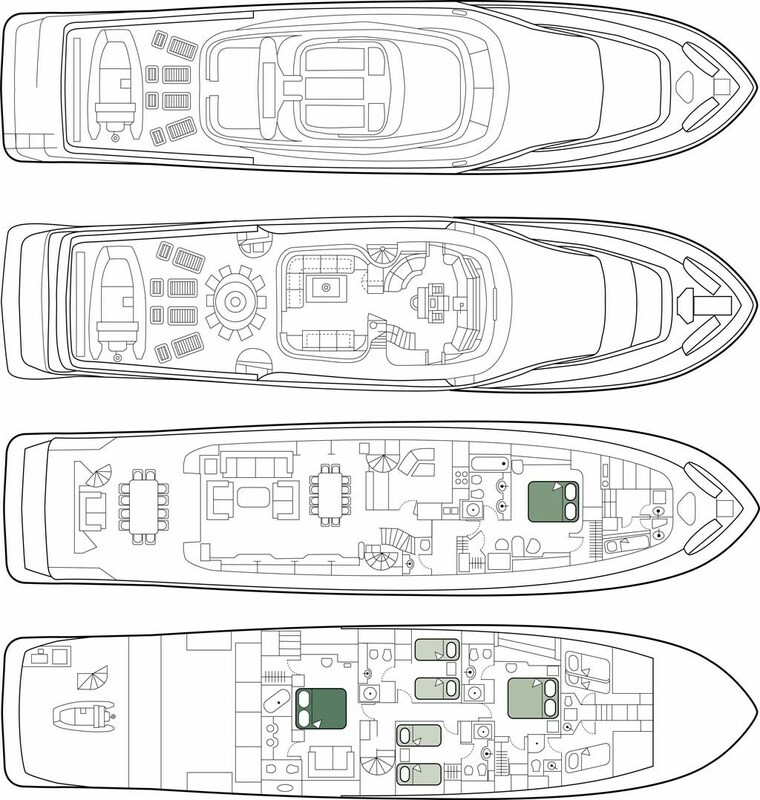 Separate crew quarters for 6. 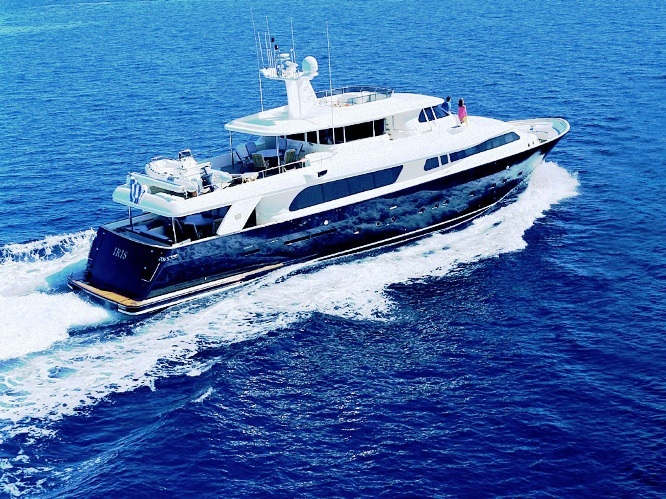 Luxury Greece motor yacht IRIS offers the following amenities: Tenders & Toys NOVURANIA 4,6mtrs RIB WITH 90HP YAMAHA OUTBOARD, WATER SKI, TUBES, BANANA, CANOE, WINDSURF, WAVERUNNER, KNEEBOARD, SNORKELLING AND FISHING EQUIPMENT. Audio Visual Equipment and Deck Facilities SATELITE PLASMA TV / AUDIO / VIDEO / DVD ENTERTAINMENT IN SALON. 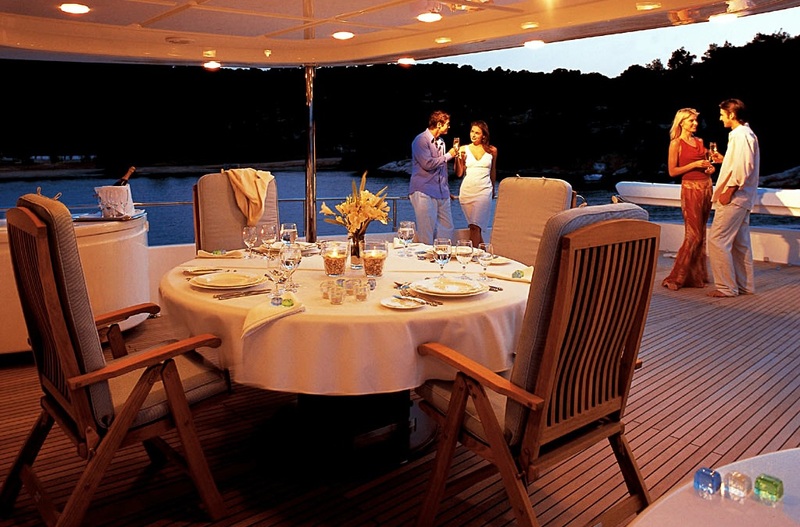 LCD TV WITH DECODER AND AUDIO IN ALL CABINS. Communications RADAR, GPS WITH PLOTTER, NAVTEX, AUTOPILOT, VHS/DSC, EPIRB, SATCOM WITH FAX, GPRS/E-MAIL SERVICE, GSM PHONE.